For years volunteers in Minnesota's Scientific Natural Area program hoped to see this 120-acre property in Denmark Township, Washington County protected. Described as a "botanist's delight", the property includes areas of rare Bedrock Bluff Prairie, and provides habitat for a number of state-threatened plant and animal species. The land also features two steep ravines that support a stream network feeding the St. Croix River. 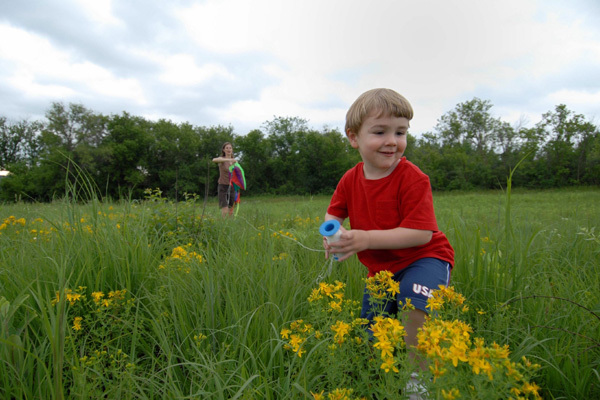 In late 2009, TPL and the Minnesota Department of Natural Resources completed the purchase of the land for addition to the 200-acre Lost Valley Prairie Scientific and Natural Area (SNA) - great news to birdwatchers, nature photographers, and school children, and another success in the ongoing effort to preserve natural lands around the rapidly growing Twin Cities.